Cape Town – Perhaps you could argue that the pressure has lifted just a tad on South Africa for the ICC World Twenty20 starting on Tuesday. They will travel to Sri Lanka now in second place on the world rankings, slightly behind defending champions England who beat them comprehensively at Edgbaston on Wednesday night to split the series 1-1 and sneak back to top of the pile. It was another greatly reduced contest, really turning it into a bit of a circus: how can you take nine- or 11-over games seriously? So South Africa will hardly be rattled or depressed by what transpired in Birmingham, despite the best efforts of several of the English television commentators to make it sound as though the host nation were “happy and glorious” once more ... voila! It took little of the gloss off a wonderful collective summer on those shores for the Proteas, who achieved far and away the main goal of winning the Test series and were also not eclipsed in either of the limited-overs portions when they might have been expected to surrender some intensity. That said, the tourists, probably with one foot on the plane (albeit to Colombo, not Johannesburg) after their lengthy British exertions, could not argue to the contrary that they were rather clobbered in the final outing. They were outwitted, out-skilled and also played notable second fiddle in the power-hitting department to a young and promising England side who may be inconveniently Pietersen-less (at least in pure playing terms) in Sri Lanka, but ought to be tough nuts to crack even in those more neutral climes. Bookies have apparently installed the Proteas, incidentally, as third favourites for the global bash, behind main Subcontinental outfits India and Sri Lanka respectively ... it is arguably not the worst position to be in for a South African side which so often enters these major one-day tournaments intensely touted, despite a known track record for disintegration when push comes to shove. AB de Villiers’s side were always going to struggle to get over the line at Edgbaston after an over from hell for poor Wayne Parnell which cost 32 runs in the wind-up phase of England’s innings – the second most expensive over recorded at T20 international level. Curiously, he had earlier bowled a fine, fiery – every ball well above 140km/h – first over, which only cost him five runs and included a wicket. And on a pitch increasingly receptive to pace being taken off the ball, rather than cranked up, he did attempt to “mix it up” more in his ill-fated return. But there was also no excuse for two front-foot no-balls, the subsequent free hits only adding to his haemorrhaging. 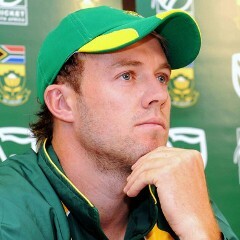 De Villiers was man enough afterwards to confess that he erred – badly, actually – by not resorting, after the success of specialists Johan Botha and Robin Peterson again, to the part-time spin options provided by Faf du Plessis or Justin Ontong. But things happen mercilessly quickly in reduced T20 affairs, and the still-rookie leader will at least be able to point to the priceless educational value of his tactical discomfort on the night. A bit more of a concern, it seemed, was the inability of many South African batsmen to be able to “go long” in the taxing chase – England striking six sixes in their knock to the Proteas’ two was an indication of this, although the home willow-wielders also out-did their rivals for cheeky innovation at times. The game was useful, nevertheless, in South Africa rethinking how they balance orthodoxy with rank slogging, and which type of batsmen to employ in which slots. With a bit of luck, far fewer games in the ‘Lankan tournament will be slashed in overs to farcical proportions, meaning that somebody like Jacques Kallis is far less likely to suffer the relative ignominy of coming in around No 7 and with a rate of, say, 16 or 18 required with two or three overs left. More of a problem was burly Richard Levi’s rather hapless failure in this mini (in more than one respect!) series, at the top of the order. The supposed master-blaster from the Cape Cobras registered nine runs off 12 balls for three mostly inglorious, ugly dismissals; on Wednesday he was castled heaving across the line at Tim Bresnan.